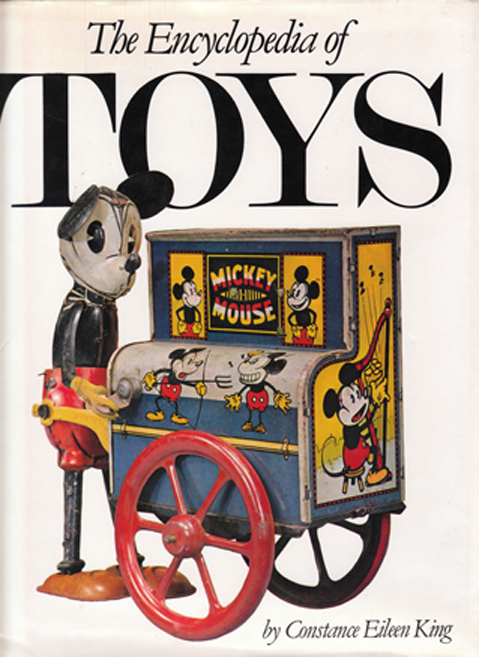 In addition to a general historical description of each category, there are also alphabetical entries on the major manufacturers – linked to the illustrations so as to aid collectors in easily finding information on a specific toy. Specific comments are made on the saleability of the items described, so that the novice collector can avoid making expensive mistakes. Finally, there are also general comments on care and cleaning of toys as well as the dangers of amateur restoration work. An indispensable guide for the collector. Approximately 380 illustrations, 70 of which are in colour. Illustrated pastedowns and endpapers. Red boards with gilded text on spine. Jacket has been repaired from the inside at the tail of the spine, and has some light tanning along the spine and scuffing along the top and bottom. Unclipped (bears original price of £20) Superb internal condition: clean, crisp, and very tightly bound pages. Measures 30 cm × 22.5 cm (12″ × 9″). Large 4to. 272 pp.